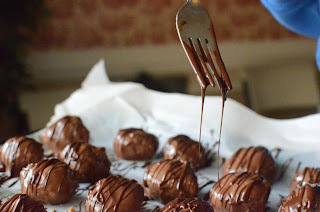 This oldie, but goody recipe started off as a recipe for chocolate peanut butter bars and while we liked them that way, we decided that we liked them even better as little bite-size truffles of melt-in-your mouth chocolatey-peanut buttery goodness! They would make an impressive addition to any holiday goodie plate and no one would ever need to know how simple and easy they were to make! Recipe adapted from an old church cookbook. 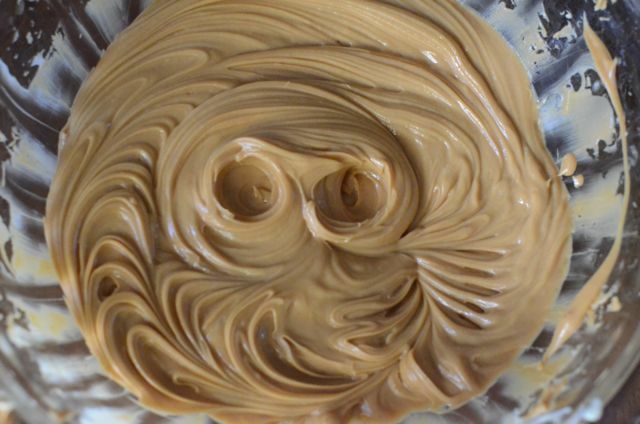 DIRECTIONS: Beat 1-1/4 cups peanut butter and butter in a large mixing bowl until creamy. Gradually beat in 1 cup powdered sugar. 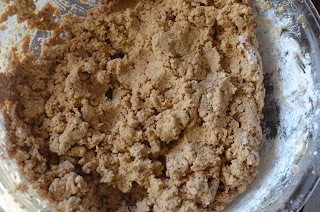 With wooden spoon, work in remaining powdered sugar, and graham cracker crumbs. 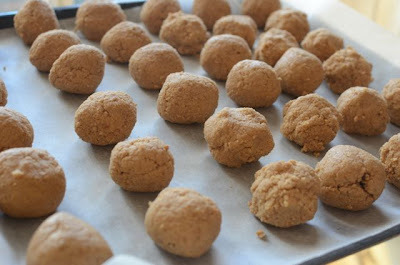 Roll into 1-inch balls and place on a wax paper lined baking sheet. 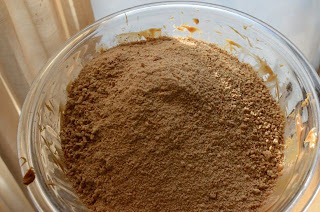 Freeze until firm (about 1/2 hour). In a microwave safe bowl, melt milk chocolate chips for about 90-seconds, stirring every 30-seconds until melted and smooth. 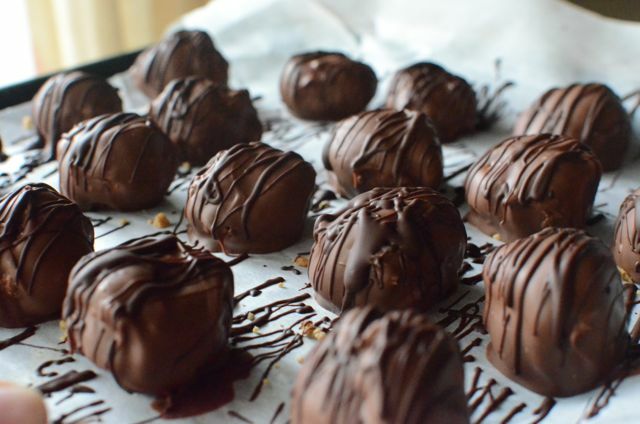 Immediately dip cold truffles and place on wax-paper lined baking sheet. 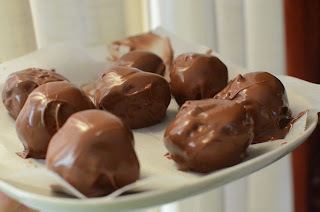 Place in the fridge and allow chocolate to harden (about 10 minutes). 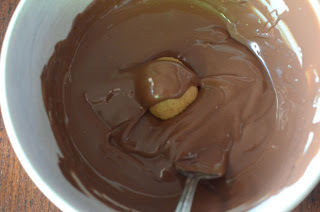 Melt the semi-sweet, dark or white chips in the same manner as the milk chocolate. 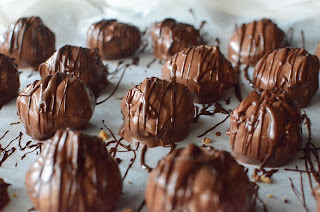 Then with a fork drizzle the truffles with contrasting chocolate. Allow chocolate to harden and enjoy! Store in a covered container in the fridge. 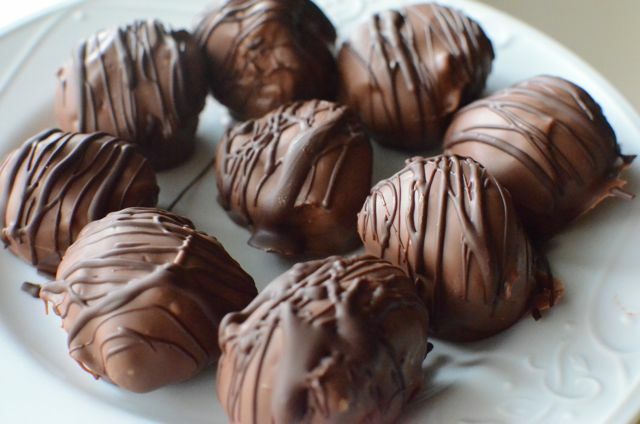 Makes 4-5 dozen 1-inch truffles. 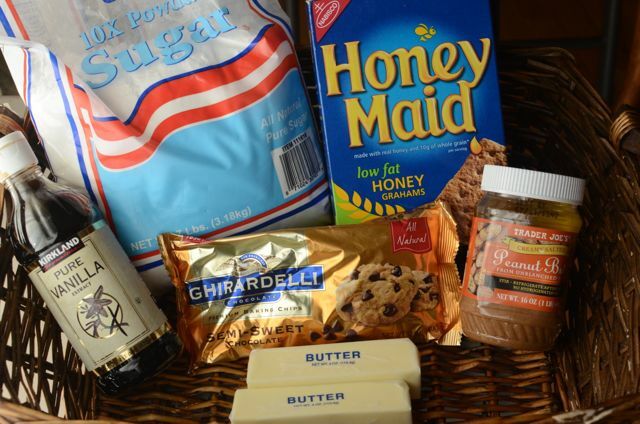 When do you put in the vanilla extract? I made some of these for the office Christmas "baked goods" day. Suffice it to say, these are pretty incredible, and everyone else in the office thought so too. 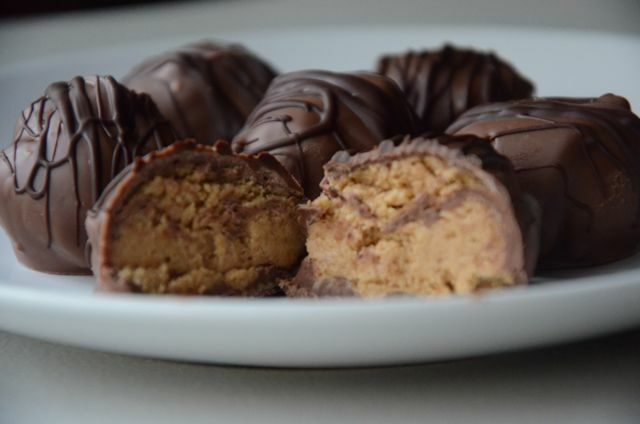 These look delicious--they would be a hit at our home!